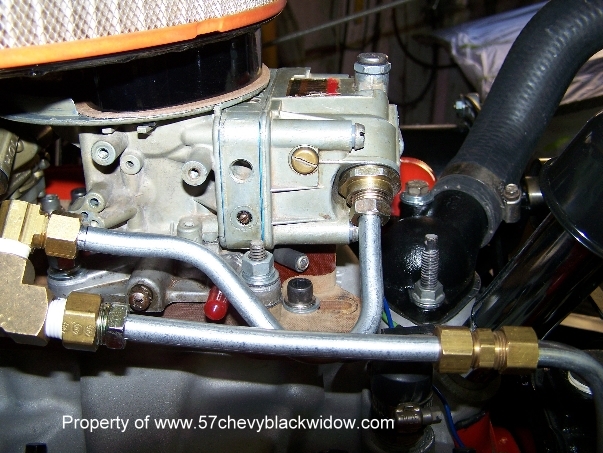 After pressurizing the oil system with oil pump priming tool "Old Guy Scott" sets the ignition timing statically to ten degrees advance; photo #531. 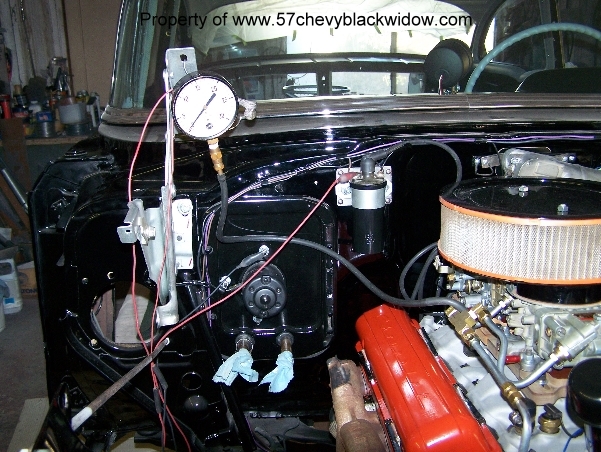 Next he pressurized the fuel system from tank to fuel pump and filled carburetor fuel bowls to sight plugs photo #532. The engine started on the first crank, this is most important to start up on first crank, because the cam lobes get splash from the rod bearings. The engine runs at 1500 to 2000 R.P.M. for thirty minutes. 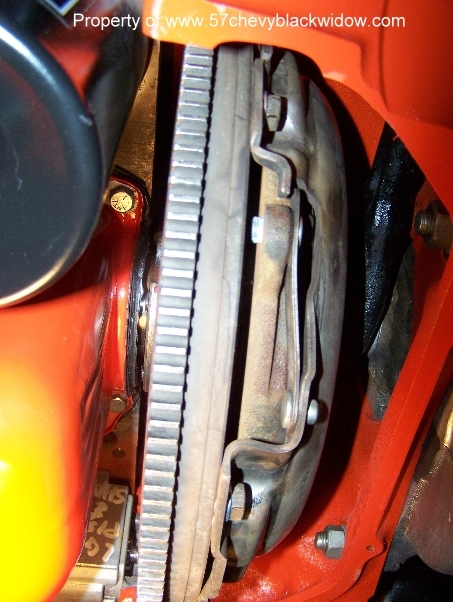 Photo #533 shows rear main seal area with fly wheel tin removed, no leak here. 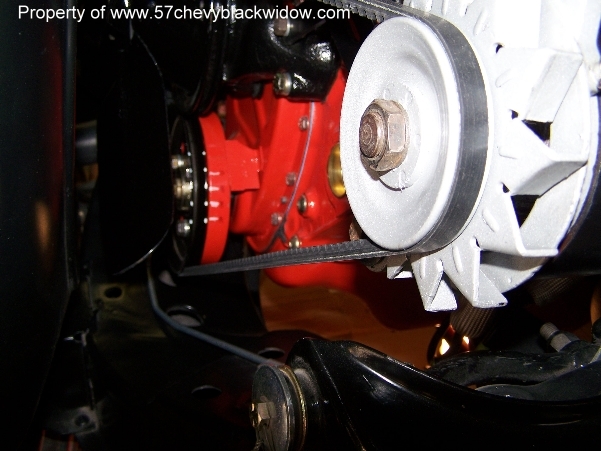 With engine running check for crankcase blow by photo #534. 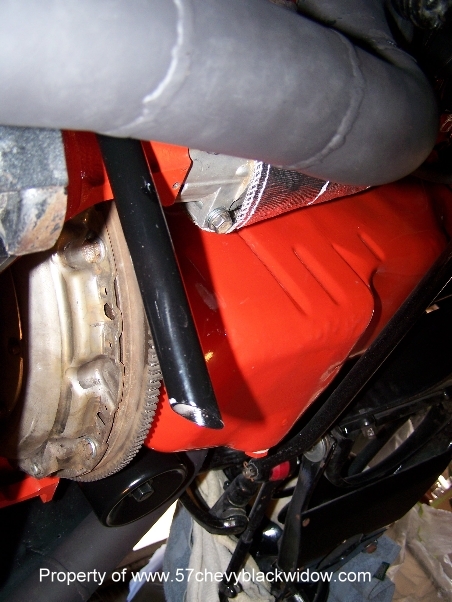 A little condensation vapor is normal, but if you see oil smoke, pull the engine out and rebuild it again. Blow by here means rings aren't sealing. With the racing cam setup this engine should idle at 1200 R.P.M. and have a minimum vacuum of fifteen inches; Photo #535. 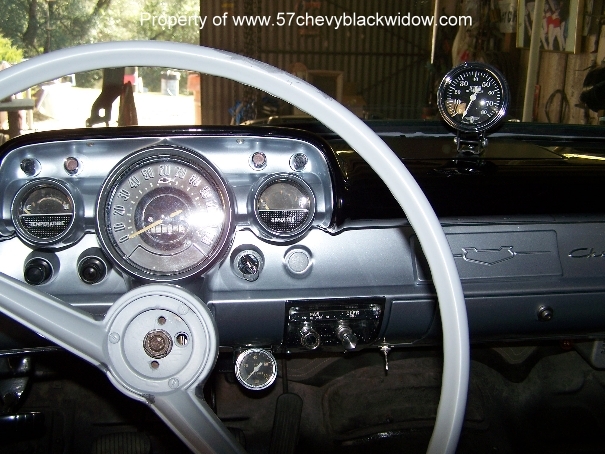 While running in for thirty minutes the oil pressure held eighty pounds pressure; photo #536. 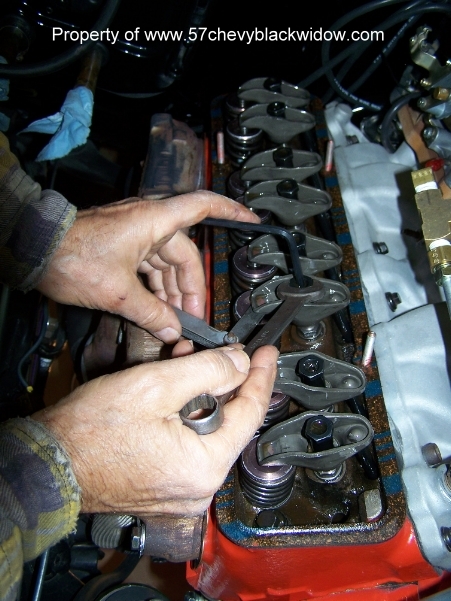 In photo # 537 you see "Old Guy Scott" adjusting the valves after the first thirty minutes. These solid lifter engines need this adjustment often from now on.